With four riders on zero marks lost it was down to the timed special test at Sadlers to decide the outcome of the 75 mile long Stratford-Upon-Avon Clubs OK Supreme Trail bike trial on Sunday. Set high on the banks of the Cotswold Hills, riders faced a 100 metre climb up and back through the trees following the course of a natural spring. 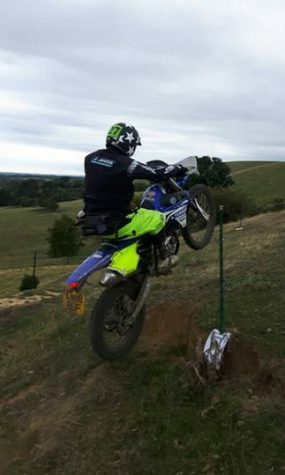 With the section observed as well as timed many riders lost marks trying to ride the muddy gully too fast, but James Carter was in his element on his Yamaha WRF 250 and stayed feet up to record the fastest time of the day and win the coveted OK Supreme trophy. Runner up by just less than 14 seconds was KTM mounted Jon Bailey with Stratford Club rider Alan Newman another second back in third place on his Beta Alp, and Kevin Stannard taking just over the minute, all with no marks lost. Henry Righton topped the Over 350 class on his big KTM finishing on five marks, just getting the better of Mark Lamplough by virtue of a faster special test. Multiple Scottish Six Day finisher, Lamplough dropped just a single ‘five when his Sherco 450 suffered the ‘four stroke cough’ in the Camp section. Including the ‘Fun’ class, for riders who wanted to just ride the course, there were 51 entries to the event which included a coffee stop at Broadway Tower overlooking the Vale of Evesham. Although entered in the ‘non competitive’ Fun catagory, Graham Archer completed every section on his Beta and only lost three marks, making him the unofficial winner of that class and 7th overall. Simon Shadbolt award for the first Stratford club rider – Alan Newman. Pictured – OK Supreme Trophy Winner James Carter at Section 8, Washbrook Farm.